Your alarm goes off at 6.00am. You groggily extract yourself from the comfort of your bed and hit the shower. Your senses slowly awaken. By 6.30am, you’ve had your first cup of coffee and are almost ready to hit the road. Perhaps you’ll drive your kids to school today. The school run is one of many driving adventures you’ll be embarking on. There’s the office commute, along with an offsite meeting or two. That’s just during the workweek. On weekends, there are tons of activities to attend to, from enrichment classes in the morning to football matches in the afternoon. A suburbanite’s life is a busy one. And that’s why you need a capable SUV to take you where you’re needed. 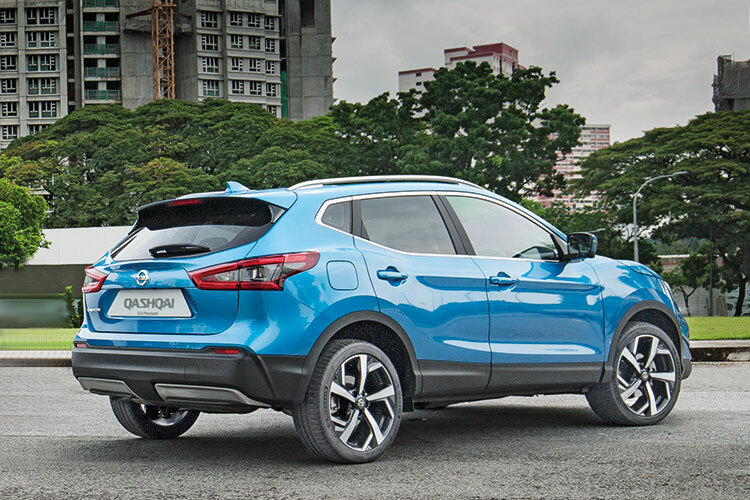 Walk up to the Qashqai and you’ll notice its redesigned exterior, which makes it look even more dynamic and sophisticated than before. This five-seater SUV/crossover certainly entices drivers to get behind its wheel. Inside, you’ll find a premium interior and a sportier D-shaped multi-function steering wheel with an intuitive control layout. After all, when you’re contending with traffic (and perhaps screaming children), the last thing you want to be is distracted. The user-friendly controls make it easy to access key functions such as the Tyre Pressure Monitor and Steering Modes. Nissan Qashqai’s cockpit features a sporty D-shaped steering wheel. The Qashqai 2.0 even has 3D quilted seats. 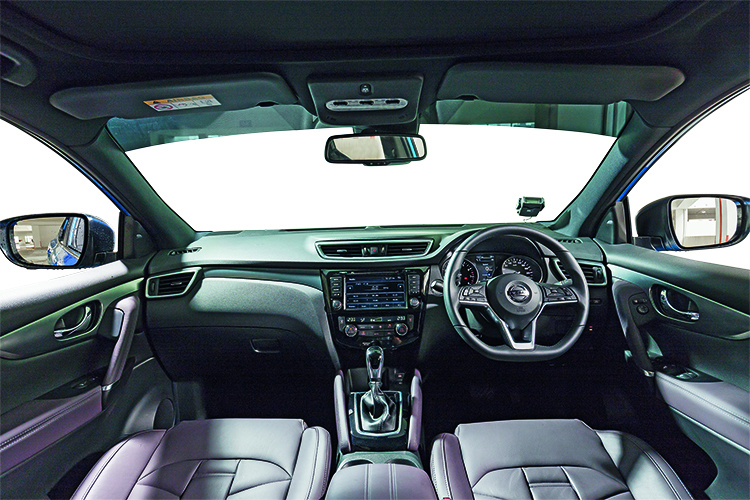 The Qashqai 2.0 features monoform-design front seats finished in premium nappa leather. They have soft 3D quilting for an extra luxurious touch that will help you relax between meetings. And when you’re heading from one appointment to another, the useful amenities such as the phone-holder, USB and 12-volt outlets can help you stay charged and connected on the go. Key to the Qashqai’s practicality is its 430-litre boot capacity (rear seats up), which lets you throw in your gym bag, kids’ football gear, and shopping. If you’re moving house or heading on a furniture-buying spree, folding down the rear seats will double the space to 860 litres. There’s even underfloor storage for keeping valuables out of sight. 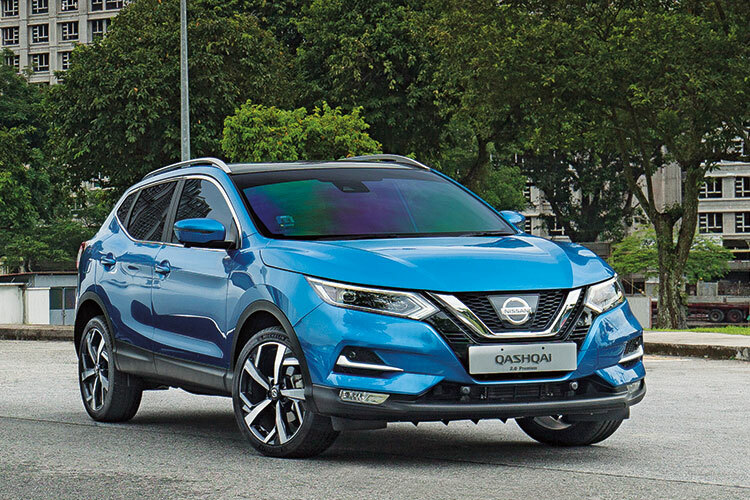 Speaking of moving, the Qashqai is available with either a turbocharged 1.2-litre or a naturally aspirated 2-litre engine. Most drivers will be happy with the turbocharged unit. 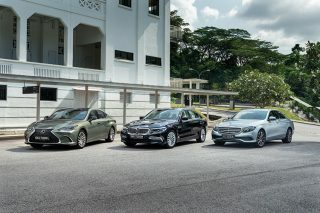 But if you want more oomph for quicker school runs, you’ll want the more powerful 2-litre engine. The same 2-litre engine powers the even more versatile Nissan X-Trail, which is suited to suburbanites with larger families. 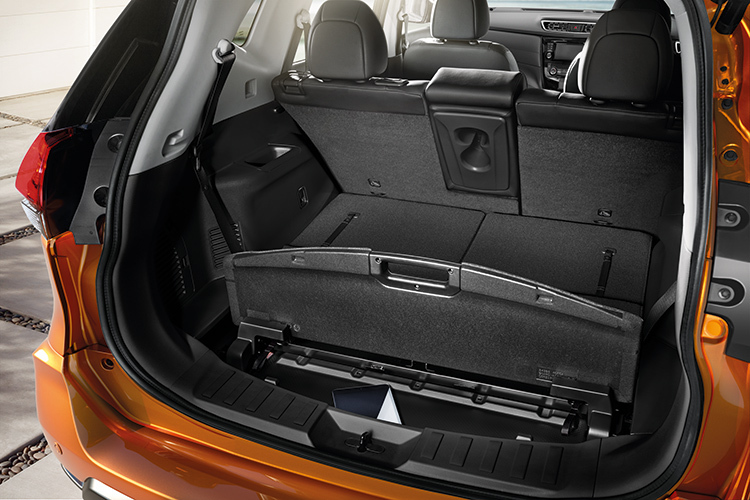 Both the Nissan X-Trail and Qashqai feature underfloor storage in the boot to keep valuables hidden from sight. Extra kids tagging along on a family outing? Well, that’s where the X-Trail’s extra two third-row seats will come in handy. In fact, it’s the X-Trail’s second- and third-row of seats that make it even more flexible than the Qashqai. For instance, if you have to ferry your colleagues (or boss) around during the week, they’ll enjoy the second-row bench, which can be slid backwards and its backrests reclined for added comfort. That’s plenty of room for your shopping, especially if you love jaunts up North. And if you fold down the second-row as well, you’ll turn the X-Trail into a veritable cargo-hauler. 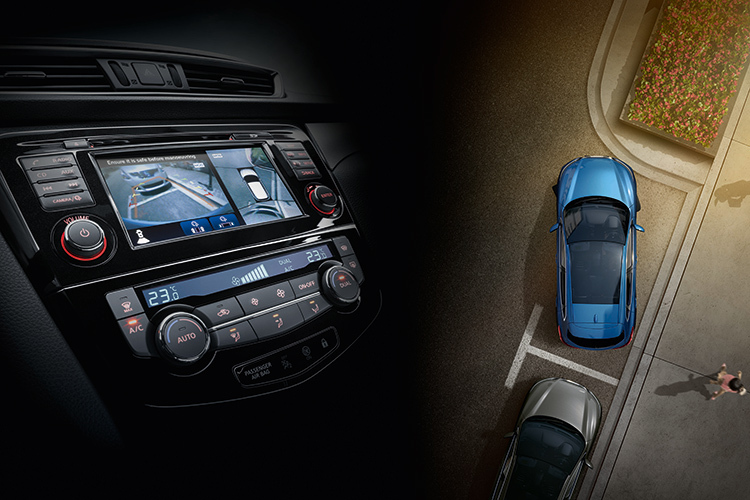 Both the Nissan Qashqai and X-Trail are equipped with the Intelligent Around View Monitor to make parking easier. When you’re going from one meeting to the next, the last thing you want to worry about is parking. With the X-Trail’s Intelligent Around View Monitor with Moving Object Detection, manoeuvring this SUV around built-up locations is a breeze. Apart from manoeuvrability, the X-Trail is surefooted, too, with the Intelligent 4×4 system as standard. So, when the weather turns wet, you’ll still be confident of reaching your destinations. 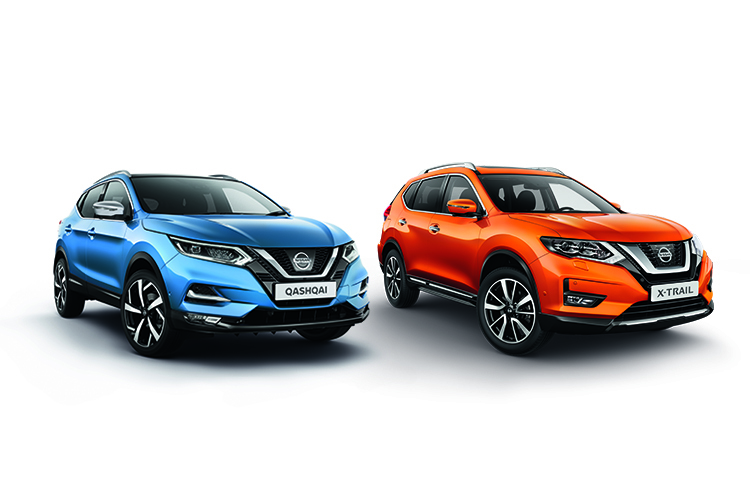 Whether you choose the sporty Nissan Qashqai or even more versatile Nissan X-Trail, you know that you’ll have the ideal partner to accompany you – wherever you may roam. THIS ARTICLE WAS BROUGHT TO YOU BY NISSAN.